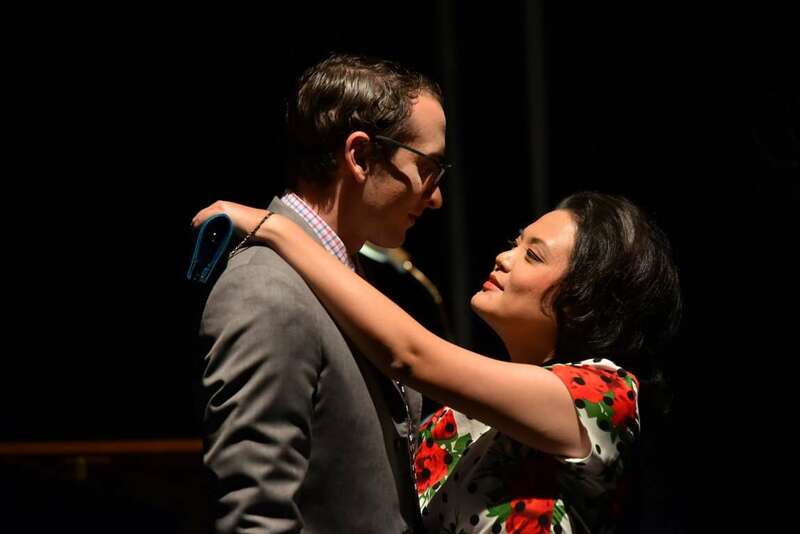 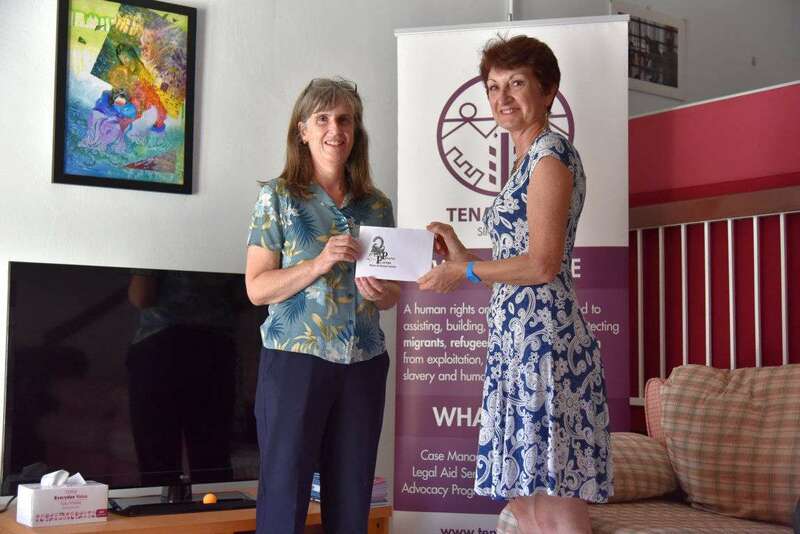 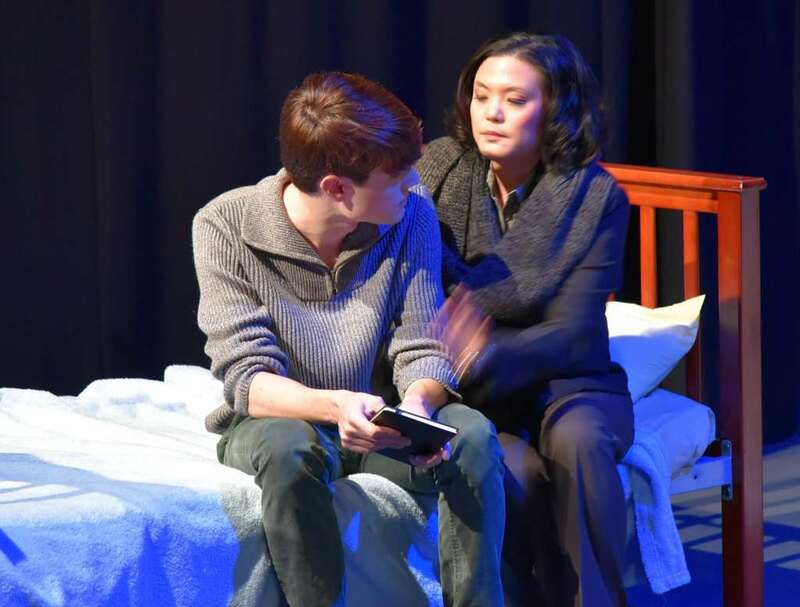 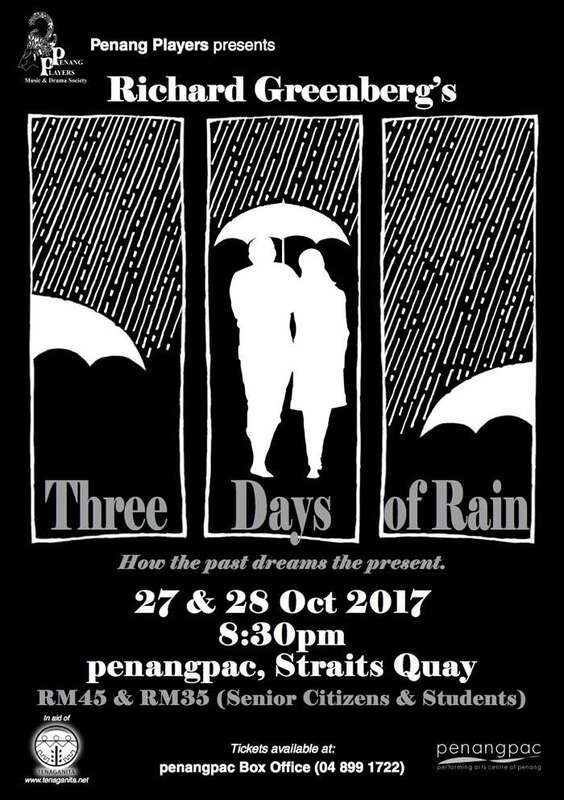 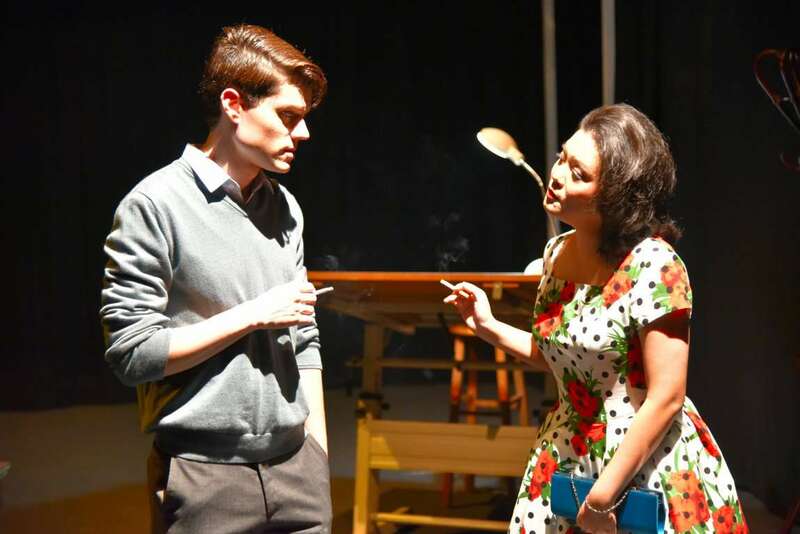 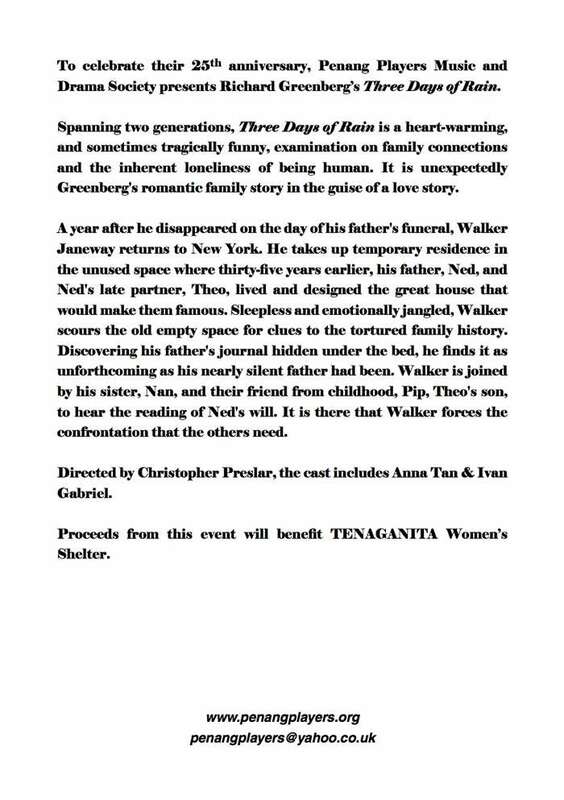 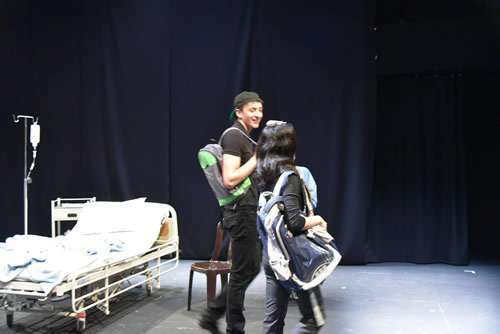 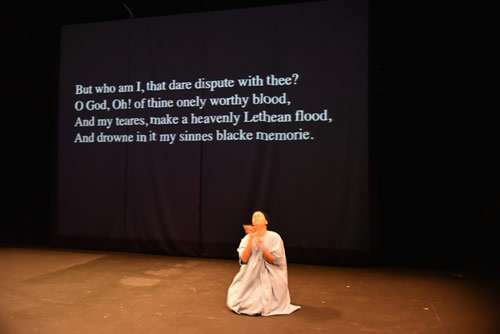 Part of the proceeds of THREE DAYS OF RAIN, Penang Players most recent stage production, were donated to Tenaganita Women Shelter in Penang. 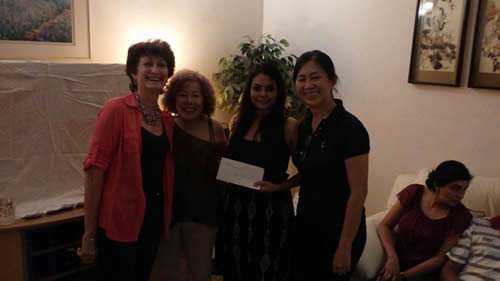 Here to receive the donation is Sally Alexander at their newly opened office. 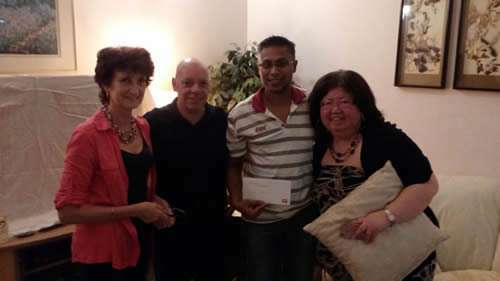 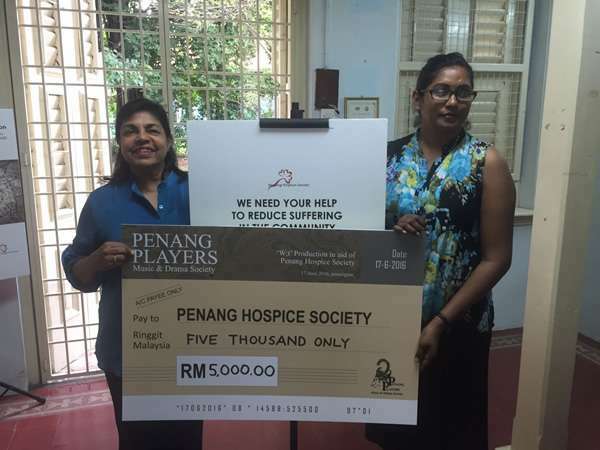 Profits of the Charity performances of ” WIT ”, staged by Penang Players Music and Drama Society on June 16 and 17, 2016 were donated to Penang Hospice Society on September 20, 2016. 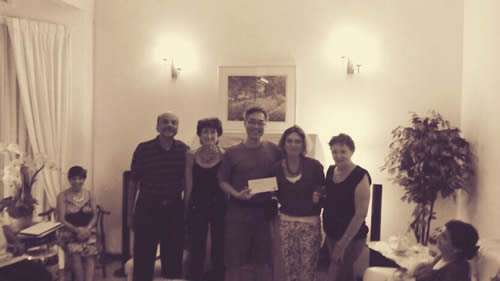 The cheque was handed over by Ms Mano Balachandran and received by Ms Chitra Alagan of PHS. 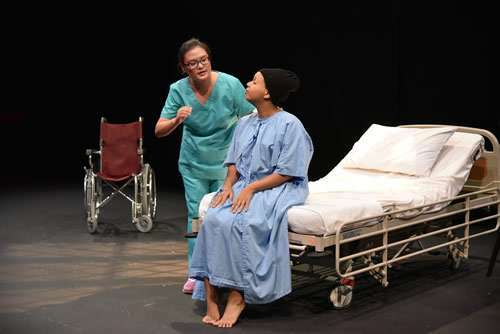 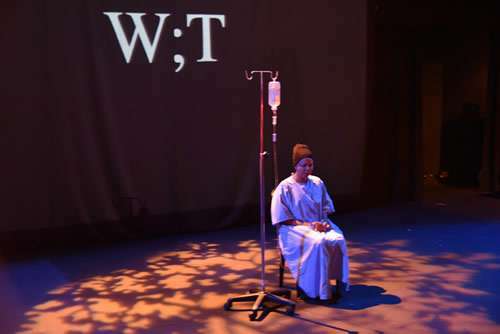 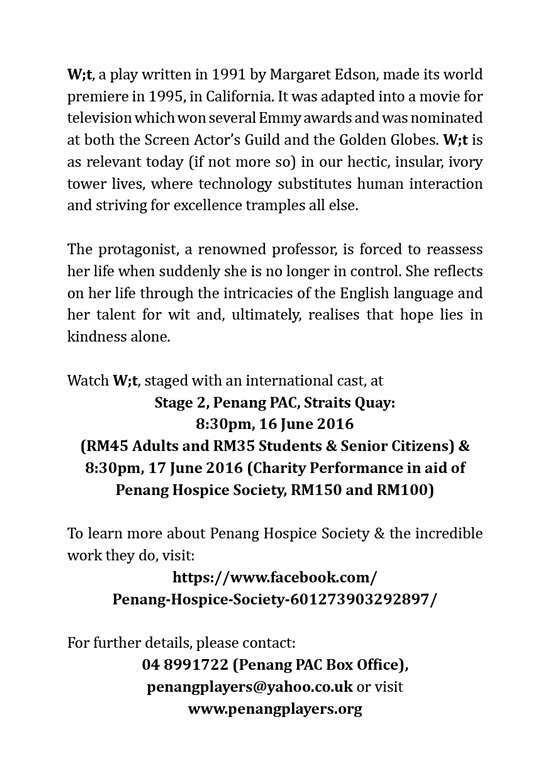 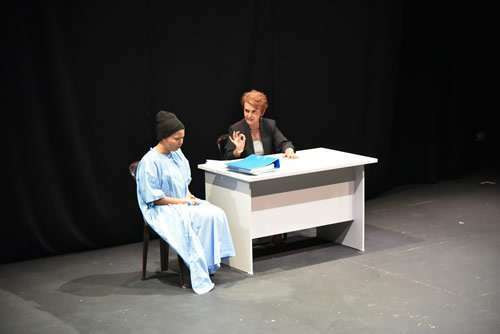 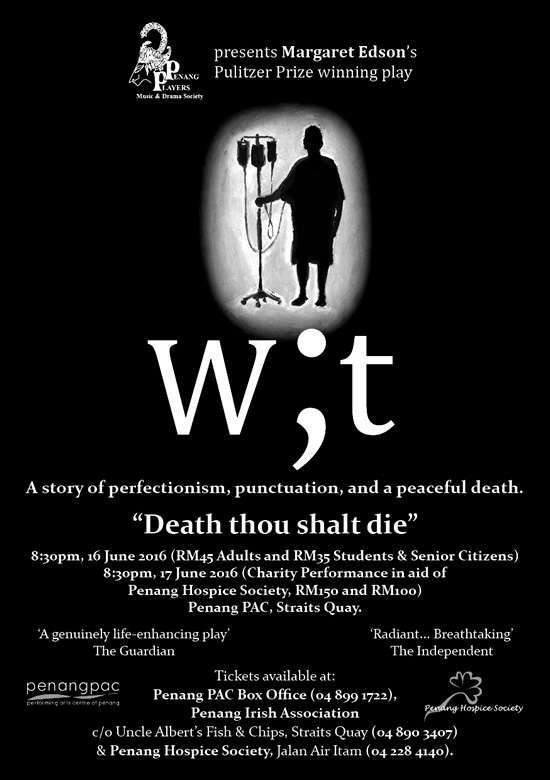 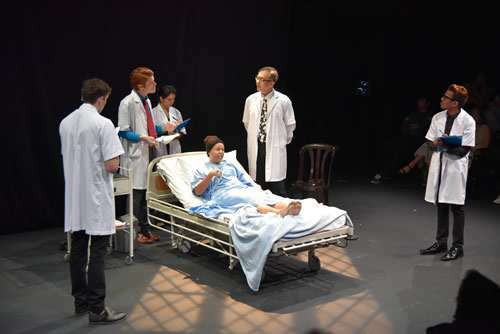 Profits of the Charity performances of ” WIT ” , staged by Penang Players Music and Drama Society on June 16 and 17, 2016 were donated to Penang Hospice Society on September 20, 2016. 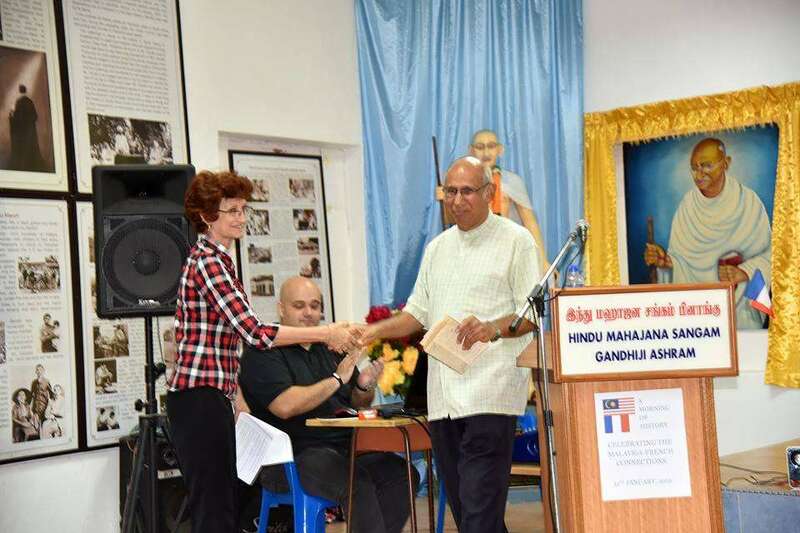 The cheque was handed over by Ms Mano Balachandran and received by Ms Chitra Alagan of PHS. 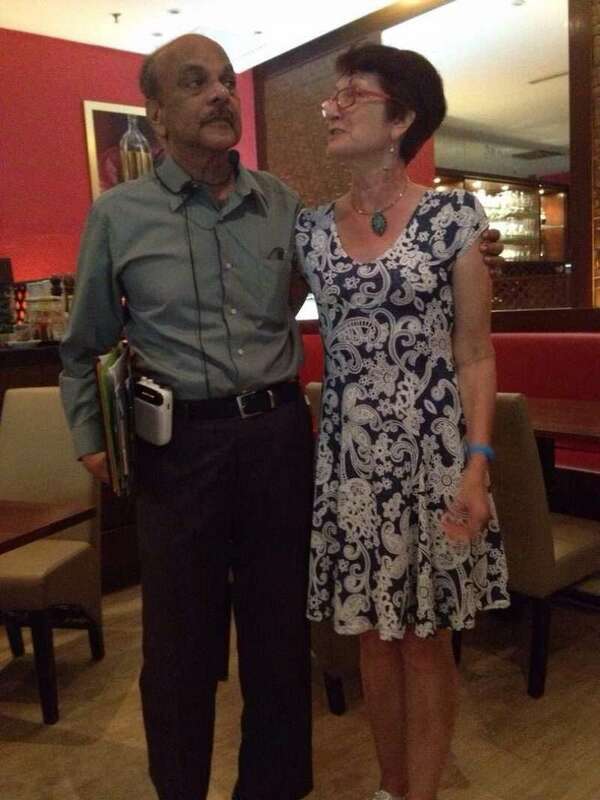 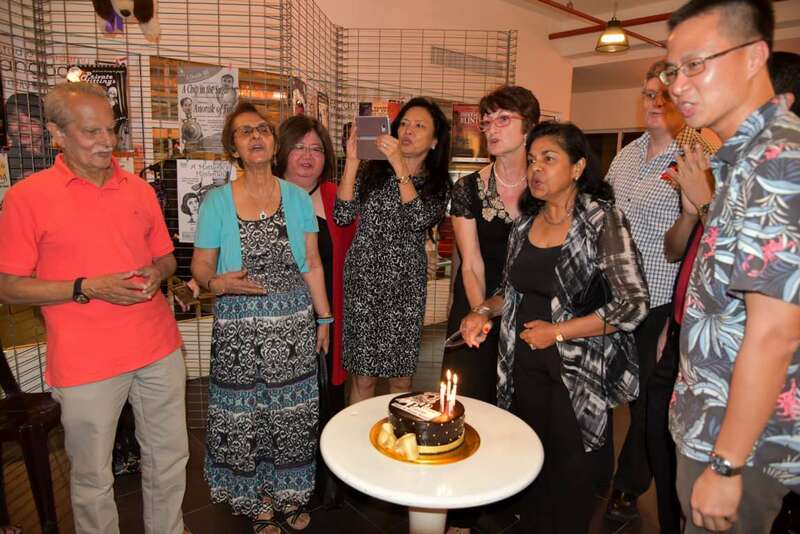 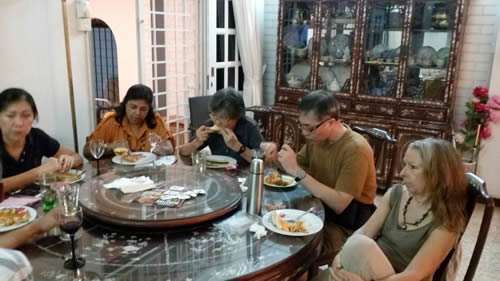 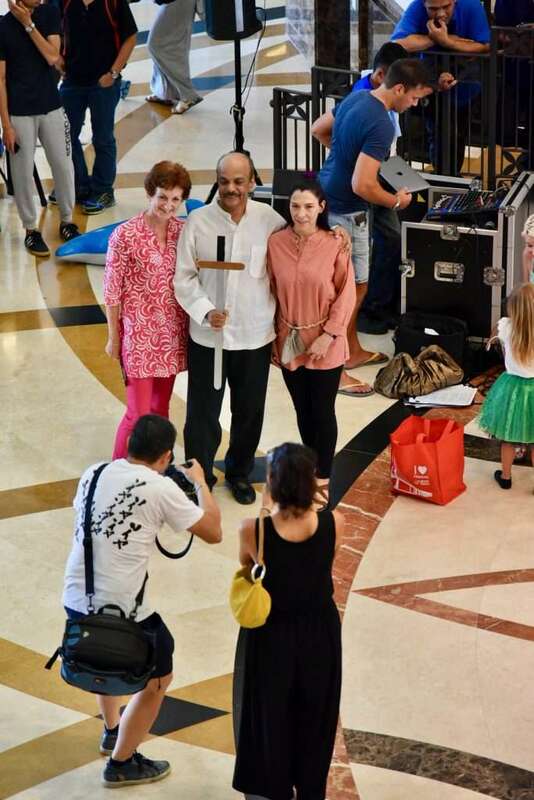 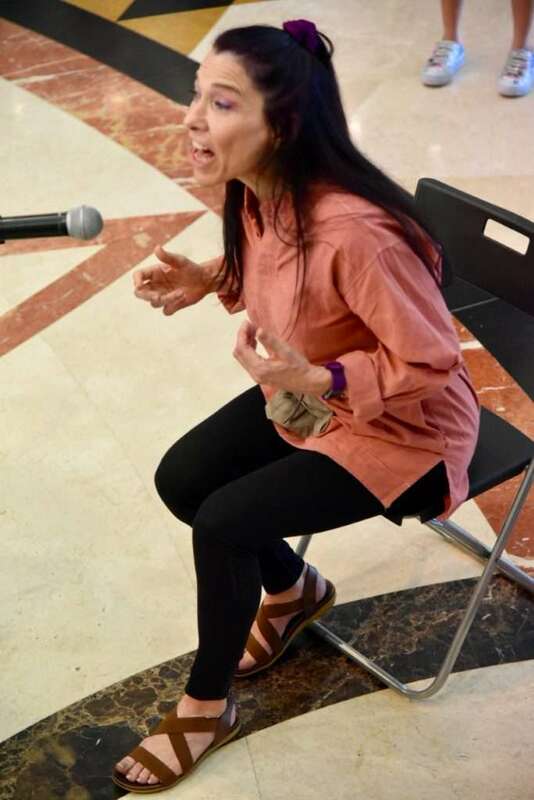 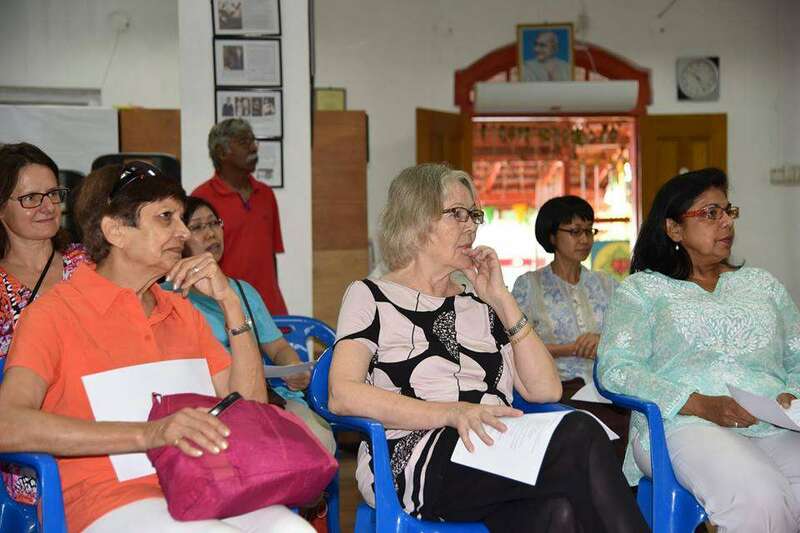 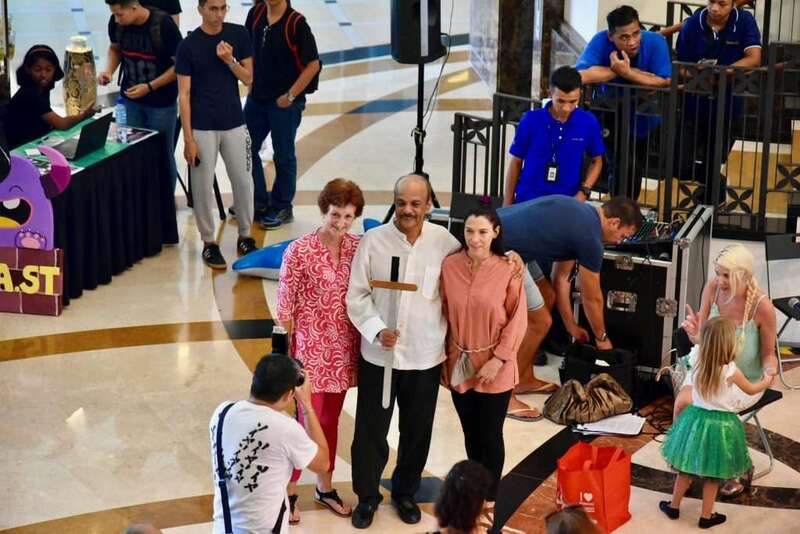 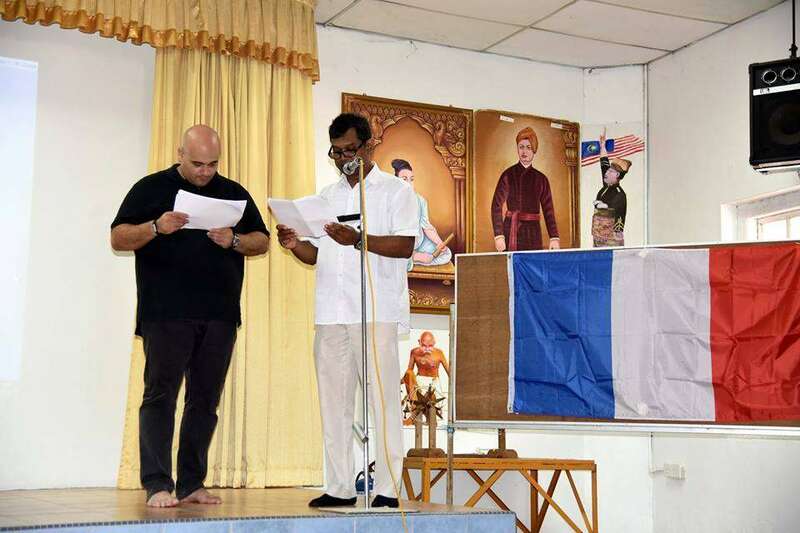 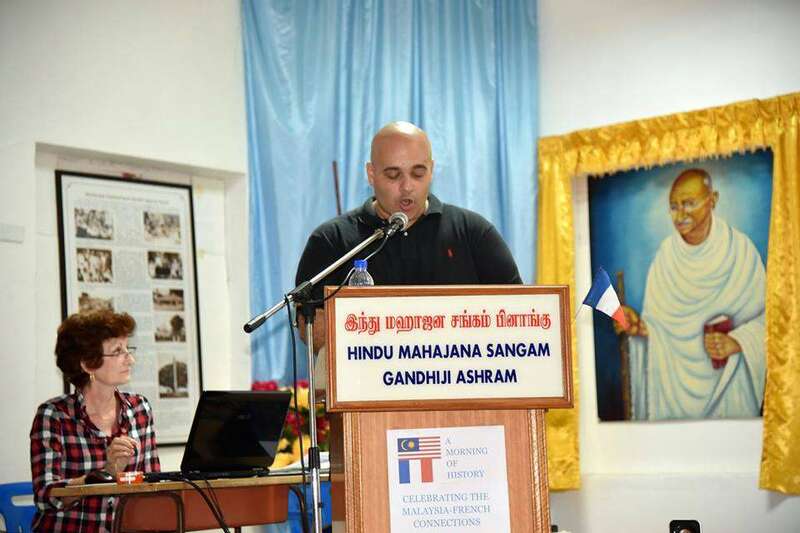 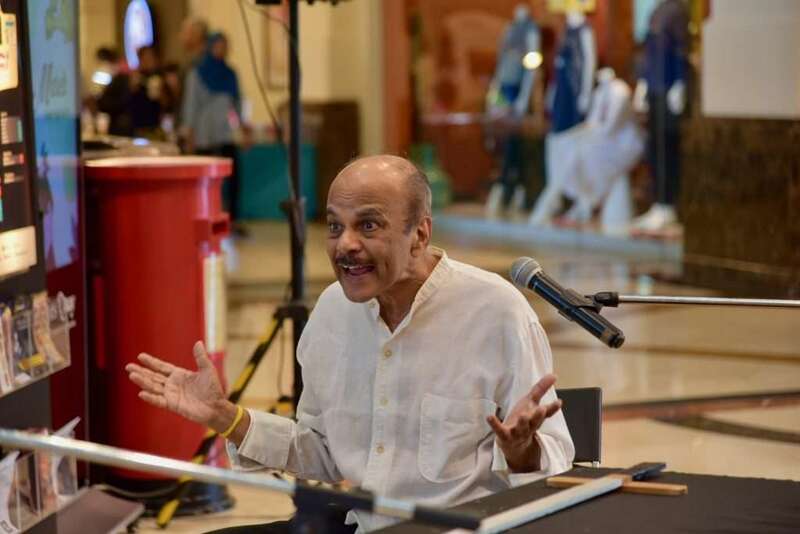 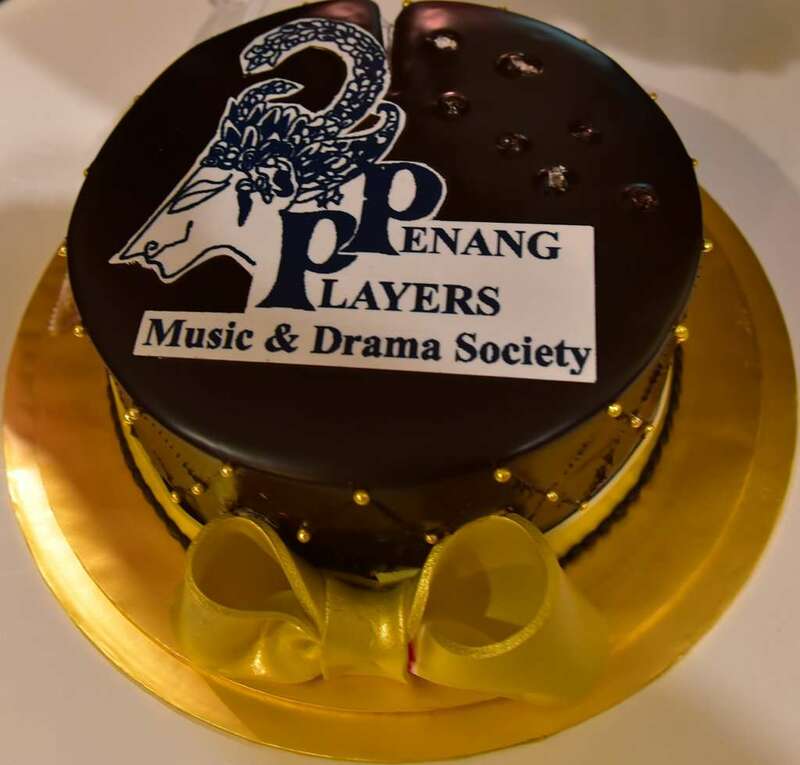 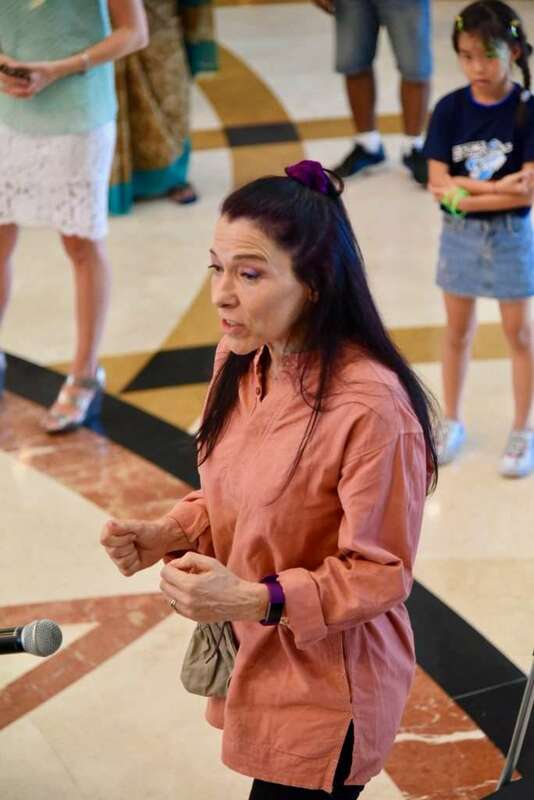 HISTORY, LITERATURE, MUSIC AND CUISINE last Sunday 31st January at Penang Ganghi Peace Centre by Penang Players Music and Drama Society and the French Community . 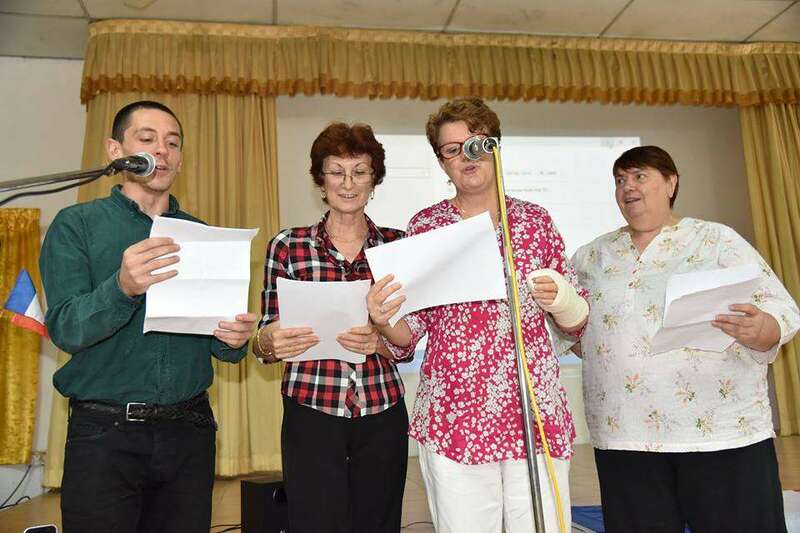 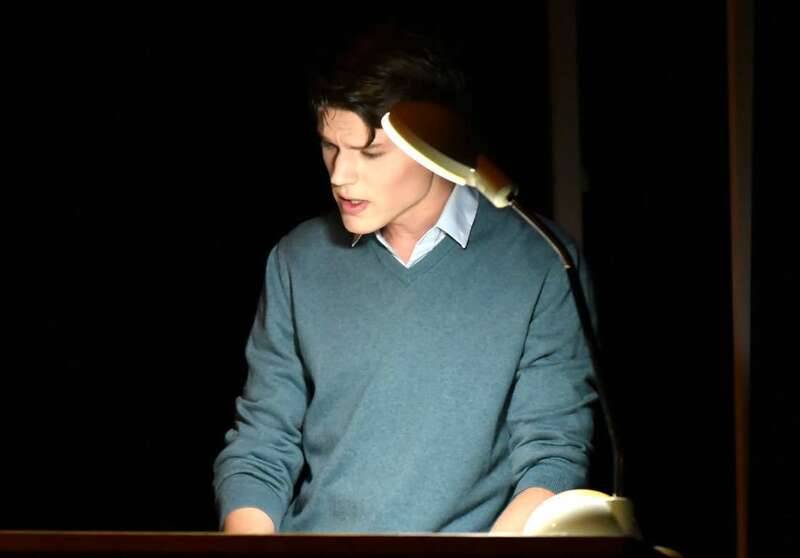 Play reading of books by French writers : Henri Fauconnier, Pierre Boulle, Christian de Viancourt. 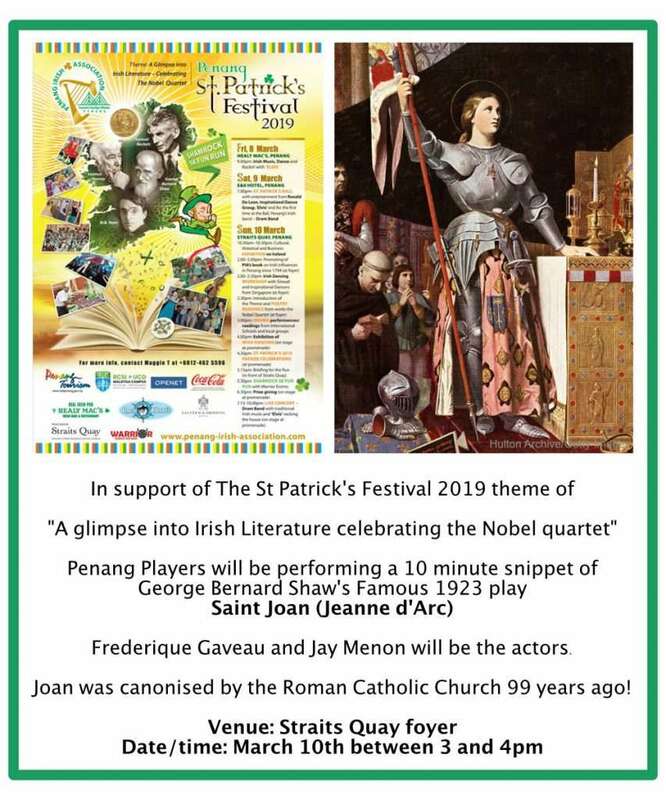 Story of the french Ship ” Le Mousquet” by John R, Robertson. 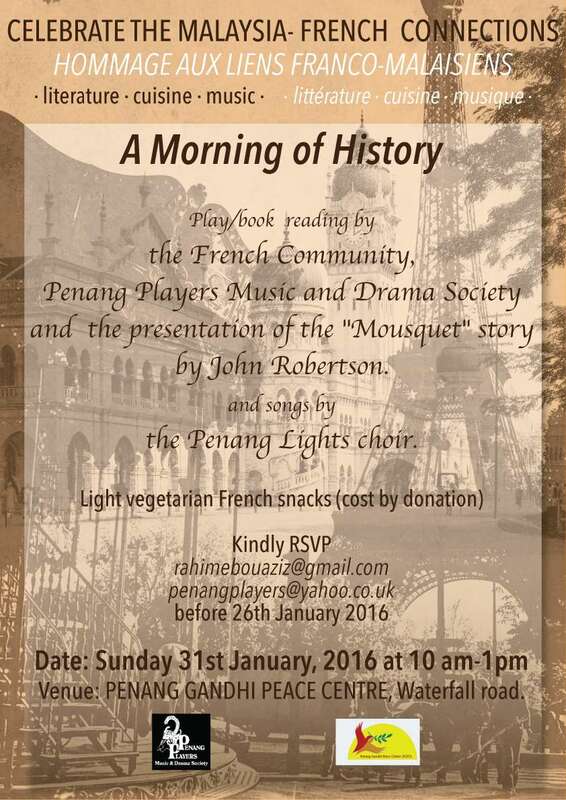 French songs by the Penang Lights contemporary Choir. 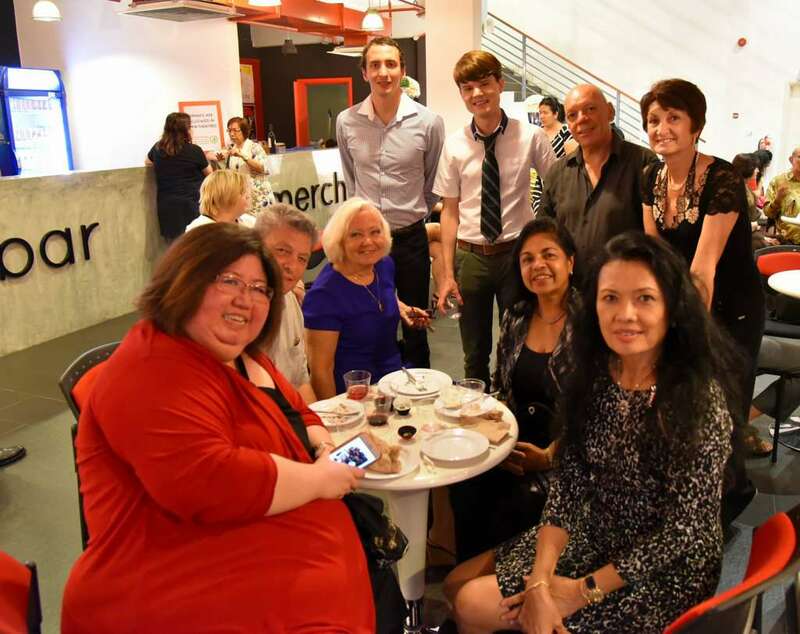 Followed by cuisine from Basil le Bistrot. 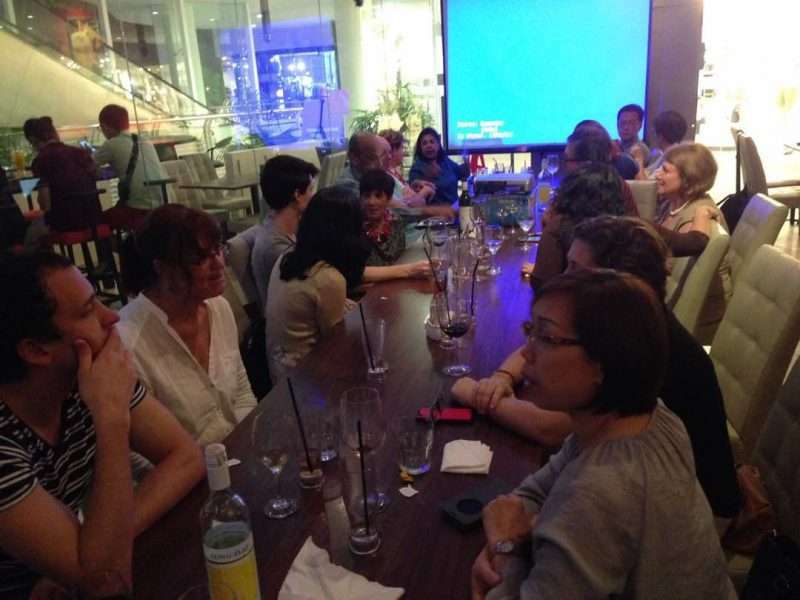 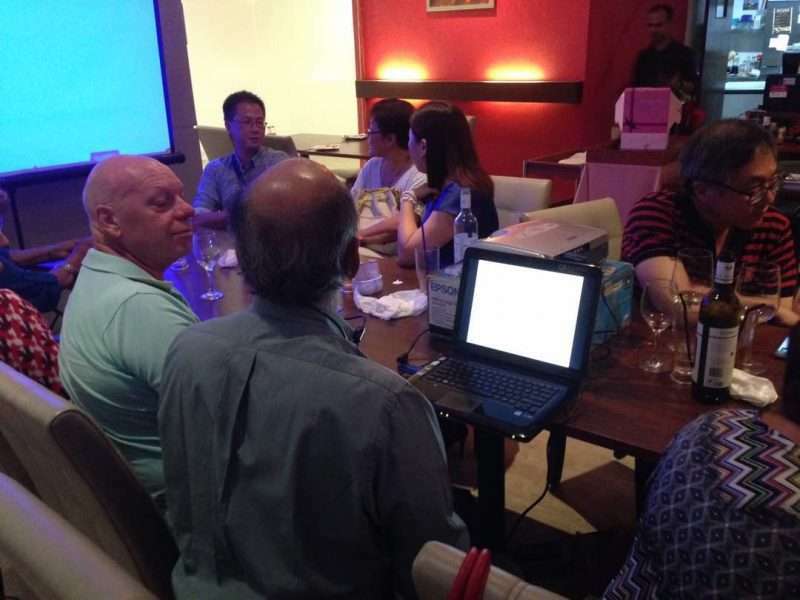 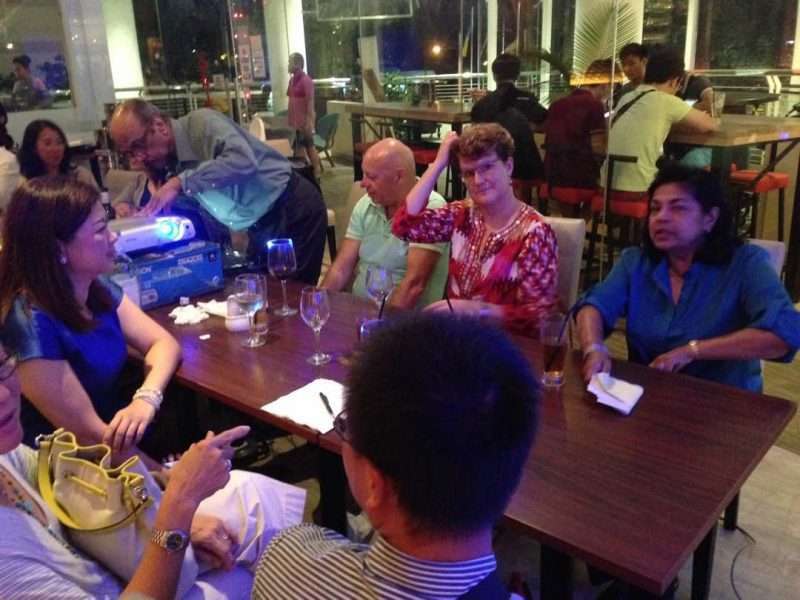 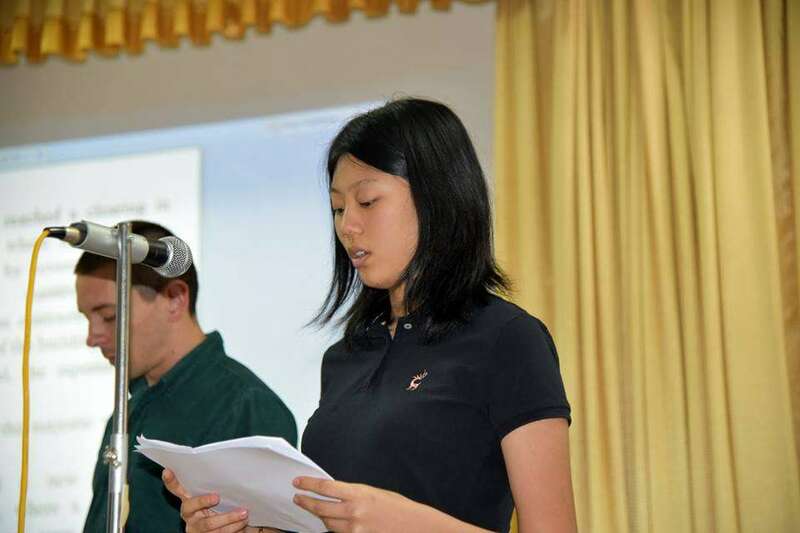 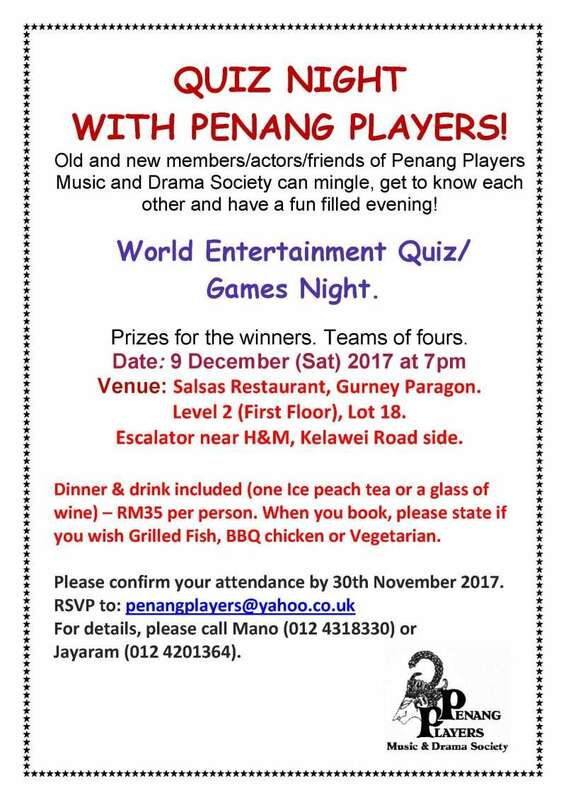 Penang Players held a quiz on 16th October 2015. 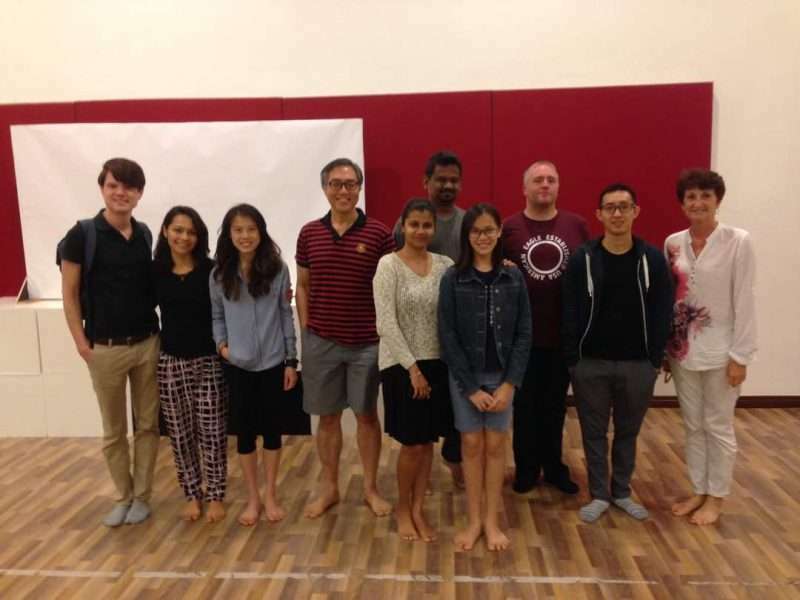 Children’s theatre workshop/DRAMA immersion programme in collaboration with POWIIS (Prince of Wales Island International School). 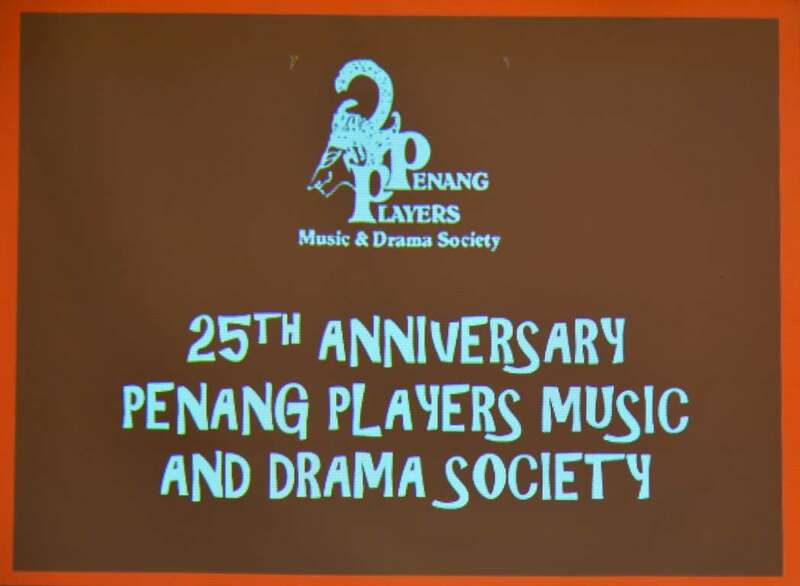 Schools taking part: Gan Eng Seng Singapore school, Straits International school, POWIIS, Ombak-Ombak students, and 14 local schools students sponsored by Penang Players. 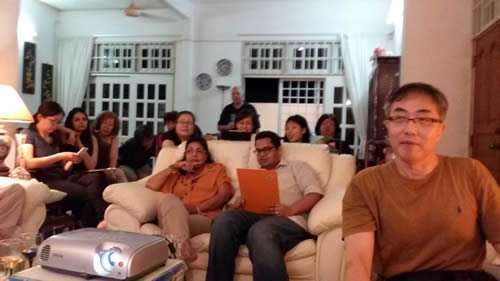 Venue : POWIIS Penang. 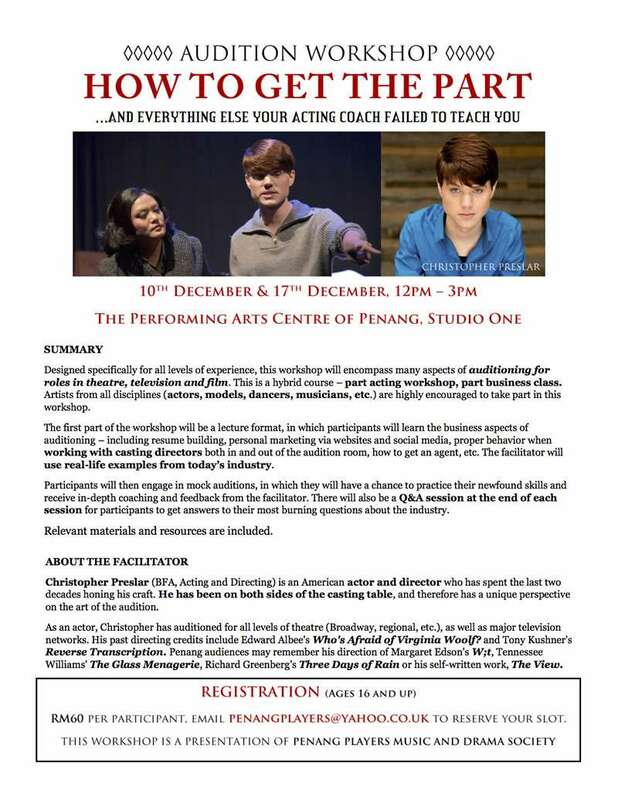 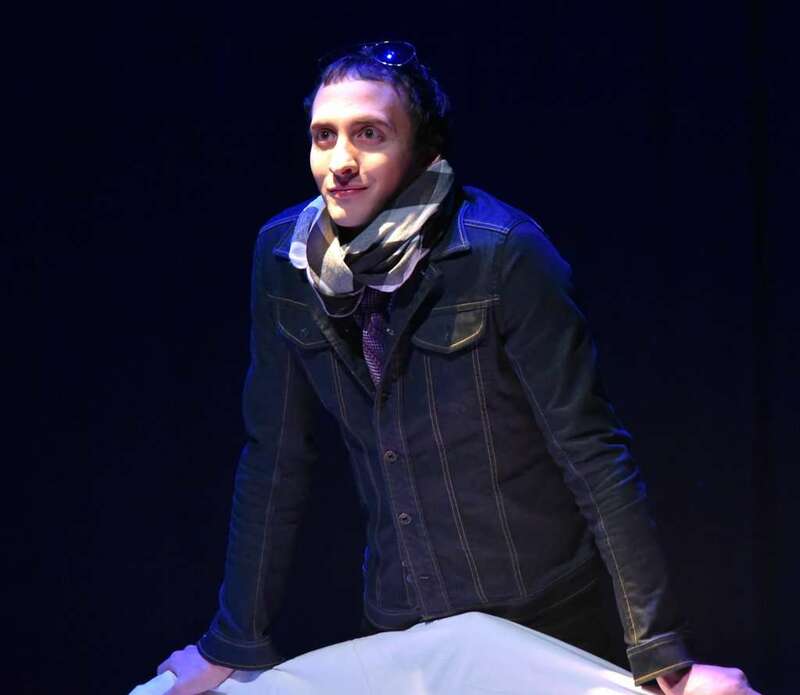 This new Workshop included: Creative movement, devising Drama, Musical writing , Jazz Chants and stage make-up. 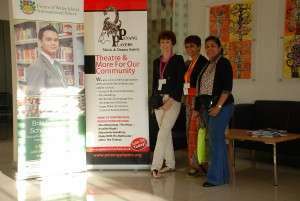 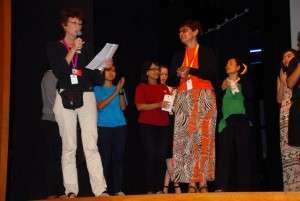 Facilitators were members of Penang Players (PP)(Joelle Saint-Arnoult, Lucille Dass and Manoha Ranee) and teachers from POWIIS and Ombak-Ombak. 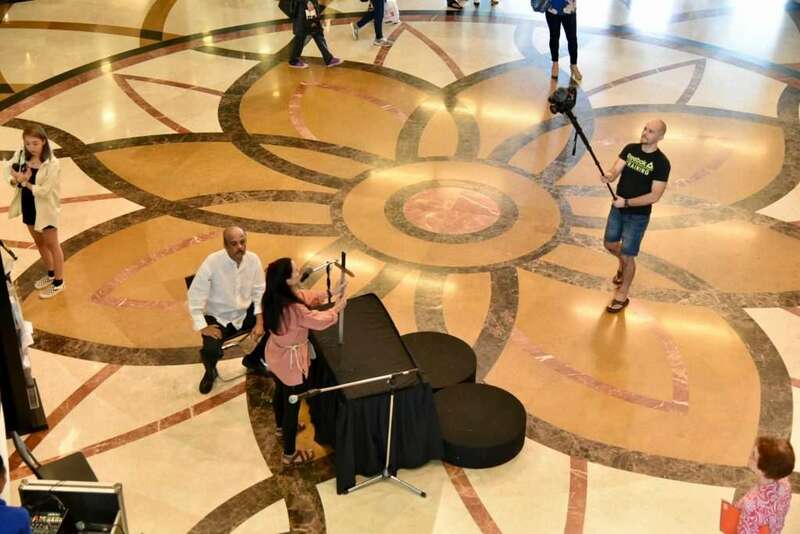 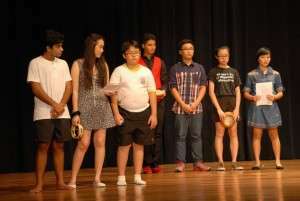 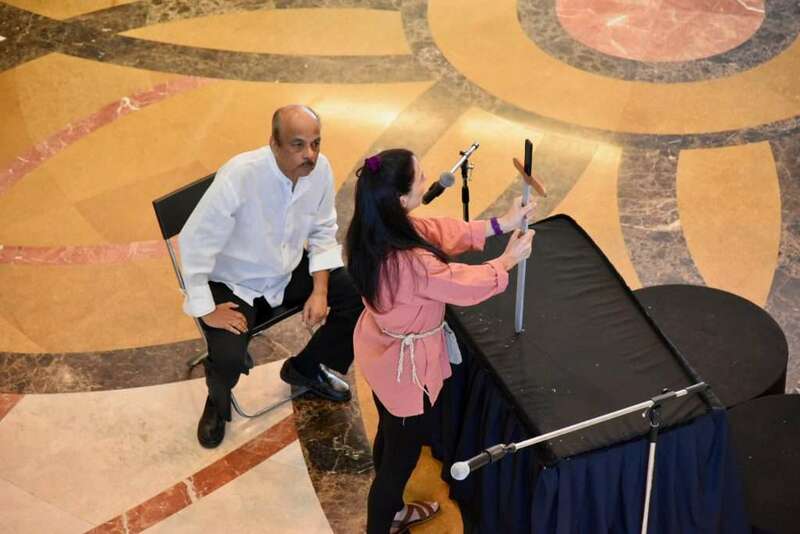 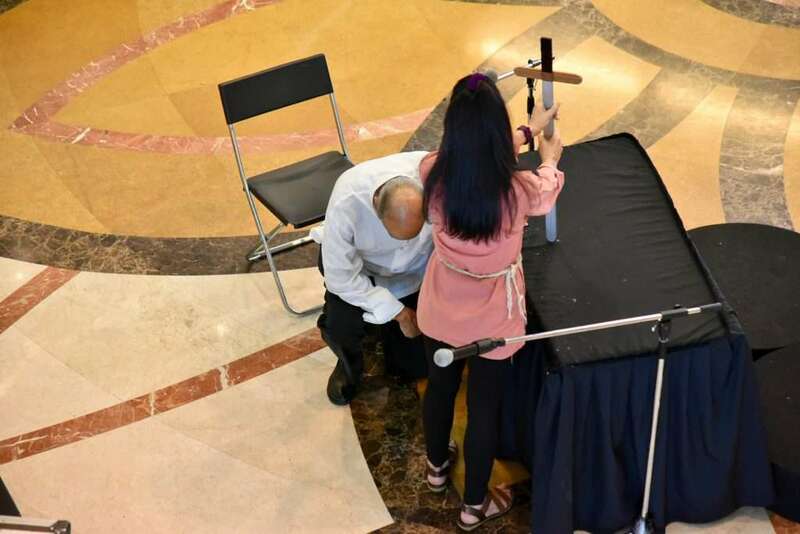 Coordination of the whole programme was done by PP, Powiis, and Gan Eng Seng school teachers accompanying the Singapore drama group of students. 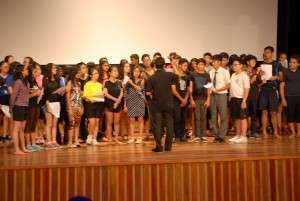 In all 68 students from the various schools took part.